This is a review of the Joseph Joseph Elevate Knives Carousel – a set of 6 knives and a sleek, rotating knife holder. As with all of our review, we feature both PROs and CONs. One of my biggest pet peeves with kitchen knives is when blades touch my cutting board. When cooking, I use two knives — my chef’s knife for cutting meats, and a Japanese vegetable knife for veggies. I use 2 different cutting boards, so that I ‘m not contaminating raw meats with anything else. What I love about the design of the Joseph Joseph Elevate Knives is that the blade never touches the cutting board or your counter. It’s such a great design feature, I’m surprised that no other knife manufacturer has thought of it. 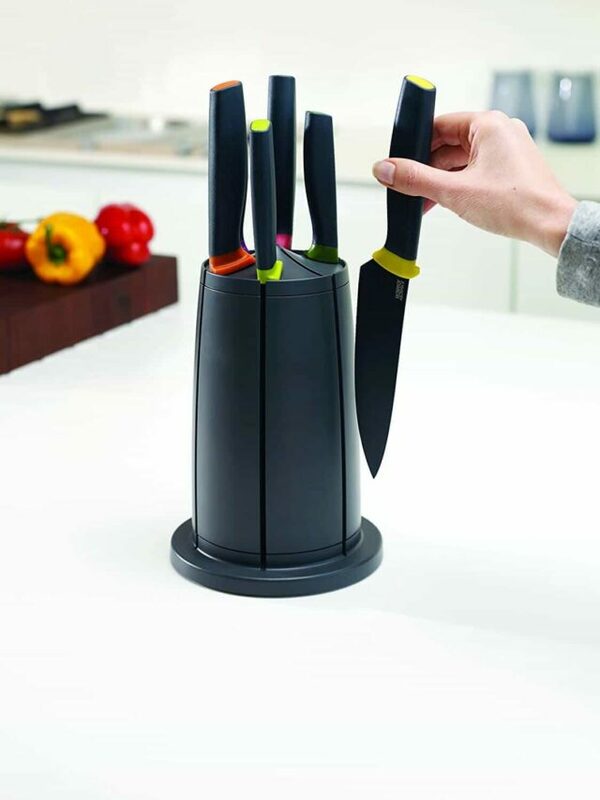 The black blade, black handles and ingenious carousel knife block would look great in any contemporary kitchen. The carousel is magnetized, so that the knives click in place and do not fall out. Another great feature of the carousel is that any knife can fit into any slot. 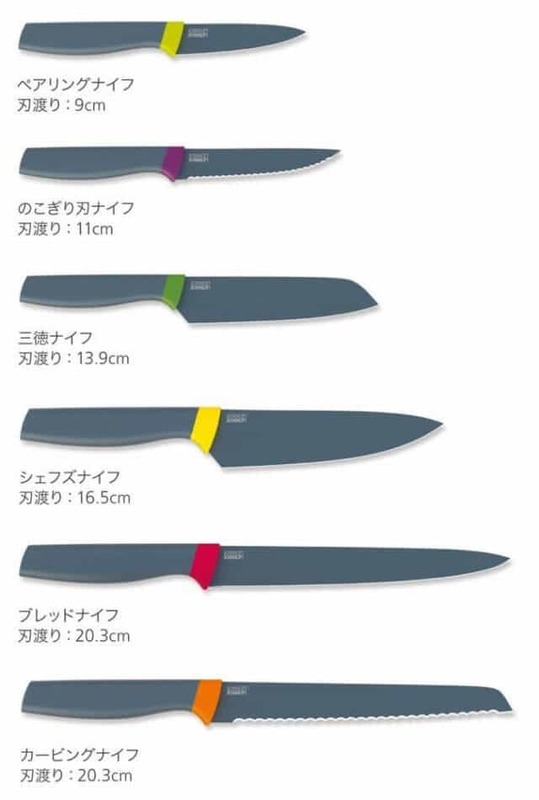 Each of the 6 knives are color coded, so you just have to remember which color is which knife. I was afraid that the knife set wouldn’t fit under my upper cabinets well, but they were just fine. I’ve never been a fan of wooden knife blocks because you can’t really throw the block into the dishwasher. The little slots for the knives can harbor bacteria and dirt. I know you and I would never put a dirty knife back into the wood block…but I’ve caught my husband and kids sliding a used knife back in. To their credit, the knife looked clean, they just didn’t know it was dirty. Also, I’ve caught them sliding a wet knife back into the block, neglecting to thoroughly dry it. Wet wood can grow mold. With this Joseph Joseph set, I just set the carousel into the dishwasher to clean and sanitize it. 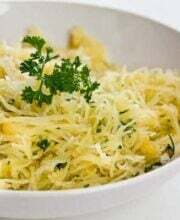 The blades are stainless steel, coated with silicone so that food does not stick. The handles are pretty comfortable. It’s weighted enough so that it feels sturdy. 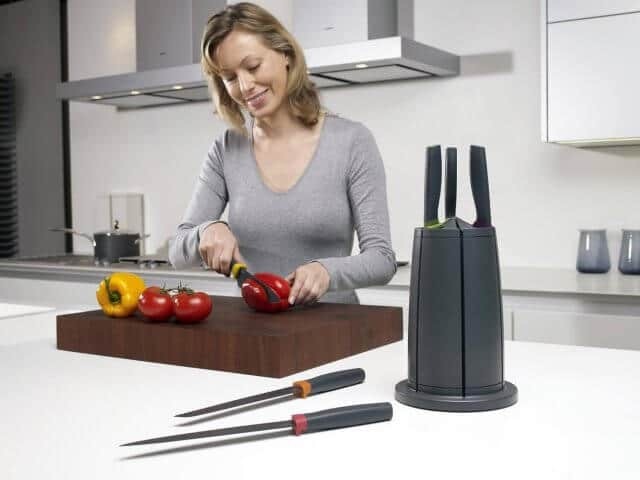 Majority of kitchen knife sets come with a honing stick or sharpening steel. Joseph Joseph sells a 2-stage sharpener/honing gadget separately. It’s inexpensive at $12.99, and I would definitely purchase it for this set, you’ll need it. (Actually, that sharpener is cleverly designed as well – it folds up compactly and can fit in any drawer. I would loved to see this sharpener built in somehow into this set, because a dull knife is a dangerous knife. The Elevate knives is made of ‘high quality stainless steel’ but will dull quickly if you don’t hone and sharpen. I will say that the knives out of the box were very sharp. Just needs regular maintenance with the “fine” setting on that sharpening gadget once in a while (really depends on how often you use the knife). These aren’t knives for chefs or gourmands. But would be a fantastic starter set or for someone who is a casual cook. The price is $39.99 on Amazon.